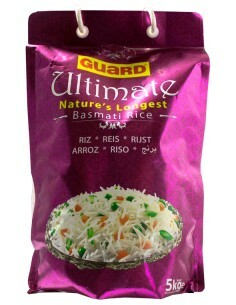 Guard Rice is poineer in introducing best quality aromatic Basmati Rice not only in Pakista rather world over. Guard Rice is the only company in the rice business that offers its valued customers a hygienically packed complete Seed to Plat solution for more than two decades. We are national market leader with a vast distribution network throught the country and are exporting our banrds to more than 36 countries worldwide. 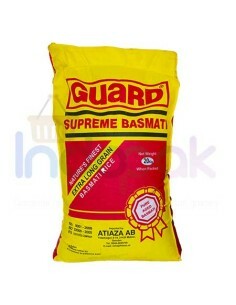 Guard Easy Cook (Sella) Basmati Rice is produced from the selected paddy of 1121 Basmati rice variety that is carefully processed in the state-of-the-art parboiling plant to give the world, the authentic parboiled taste. 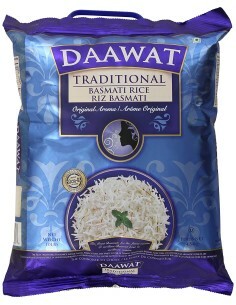 With it Average Grain Length (AGL) of 8.2mm this Basmati variety is considered to be the longest on earth.